“Are you crazy!” That’s what I tell some of the candidates that walk through the door saying they want to run their own branded FX trading business (also known as a “White Label”). Operating your own Forex brokerage firm under this arrangement is no walk in the park. Nevertheless, for some bizarre reason, many have been mislead into thinking Forex is a guaranteed path to riches. It’s actually far from that. We created this video to discuss an important section of our White Label Guide (read the entire guide after watching the video): the three of the main reasons businesses fail in the white label space. Failure results due to either a lack money, experience or value. Yes, it sounds basic, and it’s really not that complicated unless you choose to make it so. Since nowadays most people won’t sit and read through thousands of words on any topic whatsoever, think of this video as an entertaining substitute. It is my goal that you pay heed to the advice on this video, especially if you are wrestling with the idea of whether or not to run your own FX brokerage firm. Don’t join the ranks of the many unsuccessful Forex businesses that ignored common sense; common sense that would have saved them a lot of time, money and headaches. Watch the video! 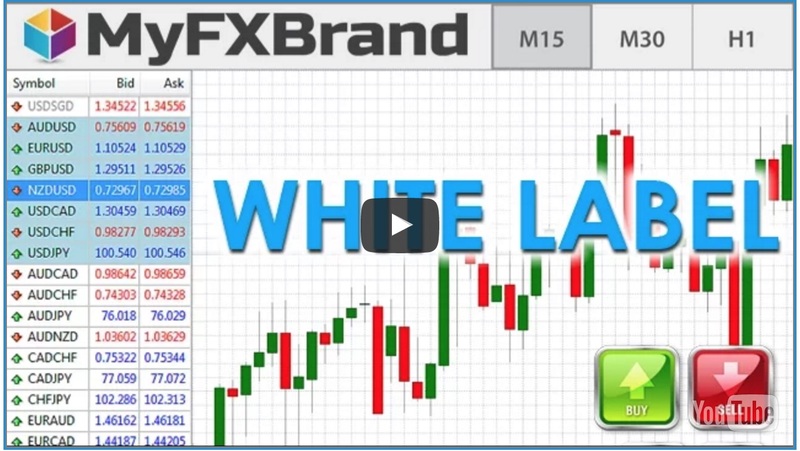 The first reason covered on the video why you should not start your own white label business in the foreign exchange market is a lack of money. Even though there are free white label solutions in existence, they are built on subpar trading platforms. If you even want to have an iota of a chance to make it in the brokerage space, don’t you think that you should offer a trading platform clients actually want to trade on? Of course you should. The most sought out platform by currency traders is MT4 (MetaTrader 4) and guess what? Unfortunately it’s not free! For every MT4 white label that a brokerage firm sub-licenses to a third party (like you), MetaQuotes charges $5,000 up front and $1,000 a month. These standard costs of running an MT4-based trading solution are not insignificant. As a result, no sane minded licensed brokerage firm [the ones that sub-license MT4 to their white label partners] would foot such a bill on behalf of a client. Doing so would be extremely risky for the brokerage firm, since they have no guarantee that the white label partner would ever generate enough trading volume for the brokerage firm to recover their platform expenditures. If at this point you’re thinking, “Spending $5,000 up front and $1,000 a month is too expensive for me,” you are basically not ready to start your own white label. It’s harsh advice, but why would you want me to sugar-coat the truth? The reality is that if you don’t already have a large network of traders that generate revenue for your company (like under an Introducing Broker or IB relationship with a licensed brokerage firm), you’re energy should be focused in trying to develop that network. Furthermore, it is much more cost effective to build that trading network during your first few years of operations without the use of a white label platform [since the costs would be a lot lower and the setup a lot simpler]. Just work with a reputable brokerage firm in an agent (or IB) relationship and launch your own white label solution when you have proven to yourself that you can succeed in this business. Isn’t that much more practical advice? Visit our IB section. No Experience and You Still Want to Start?!? To begin with, it’s really madness to want to establish your own white label brokerage firm in foreign exchange without having much Forex experience. Yet, many organizations that are clueless about FX want to roll the dice in our industry all the time. Why?!? Previous business success outside of Forex does not guarantee success in it. This is a fact. I have seen one too many businesses venture into Forex and flat out fail due to a lack of trading and currency market experience. This lack of success can even occur when your business is well capitalized from the get-go and plans on hiring the people to run the white label for you. Even if you plan on hiring the staff to help you run your white label business, it’s a good idea that you know a bit about Forex before getting started. That is why I recommend that every organization gain the required knowledge about our industry before rushing into the white label program, regardless of the amount of funds you have to start. What Makes Your White Label Different? The above question may sound basic, but it helps drive home a crucial point. Even if you are well versed in Forex and have the money to launch and run a white label business, you should to try to stand out from your competition. How do you do that? By offering your potential clients value-added services that serve as incentives for them to become customers and continue trading with you instead of the white label business next door. If all you want to do is to start a generic Forex white label organization that offers a branded trading platform for people to buy and sell Euros, US Dollars and Japanese Yens, and nothing else, your days are probably numbered. Think about it. If you don’t offer anything extra, why will clients choose to trade with your firm instead of your competitors? Because you’re a nice guy and have a prettier logo? Get real! Focusing on value added services when you run a Forex White Label business will increase your chances of succeeding dramatically. On this video and in the white label guide, we provide some examples of the types of services that you should try to focus on. What are your thoughts on our video? Give us your feedback in the comments section of YouTube. After you watch the video and go through our White Label Guide, please let us know if you have any questions by completing the form on this page.